Ofili, M.I, is an Energy & Environment Consultant, Instructor and Team Leader of the OGBS- BSN Partnership Master Degree Programs in Oil & Gas as well as Energy & Environment, Federal Ministry of Environment EIA Panelist, Pioneered Open Field Remediation Trials & Study, and Hazardous Waste Landfill Suitability, both Studies for the Shell Petroleum Development Company Limited, in the 90s; and Founding Rector/CEO of OGBS. *Invited for Presentation in the 1996 International Seminar on the Petroleum Industry and the Nigerian Environment [Nov., 17-21, 1996]; by the Ministry/Department of Petroleum Resources [DPR reference number PI/TC/6322/ Vol. 26, dated 6th November, 1996, signed by the Director, for the Honourable Minister]: on “Hazardous Waste Landfill Site Selection Study”. 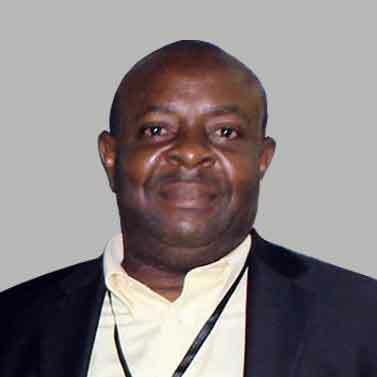 Ofili is a registered and practicing member of the Society of Petroleum Engineers International, Energy Institute, London, and also of the Nigerian Environmental Society, as well as the Institute of Safety Professionals of Nigeria. He is a graduate of the University of Port Harcourt, and did his Oil & Gas, and Renewable Energy Transition Courses at the IFP School [IFP School is a specialized Post Graduate Energy/Oil & Gas University, based in Paris, France]. He has completed a Post Graduate Certificate course in Mangrove Biodiversity & Ecology, from the United Nations University, Canada. Under consideration for an Energy Management: Bioenergy Technology Ph.d. program. *Team Leader for the Oil & Gas/Energy & Environment components of the Business School Netherlands/OGBS partnership specialized MBAs. *Recommended by Shell Petroleum Development Company Limited, Port Harcourt’s Corporate Training Centre to the Federal Ministry of Environment, for an Award, in the areas of “Training, Education and Awareness”. [Shell letter reference number HXE-LDP, Dated 27th November, 1998, and signed by the Head of the Corporate Learning Center, Shell, Port Harcourt]. Learn the fundamentals of the Oil and Gas and the process of getting a well ready for production (or injection). This course is to familiarize students of various backgrounds with general knowledge of piping in petroleum industry and provide a general overview of the it's fitting, valves and then water treatment. This course teaches you the complex industrial process designed to clean raw natural gas to produce pipeline quality dry natural gas. Gain advanced knowledge of compressors and turbines used in process plants. Acquire the technical knowledge of the operation of compressors and turbines. 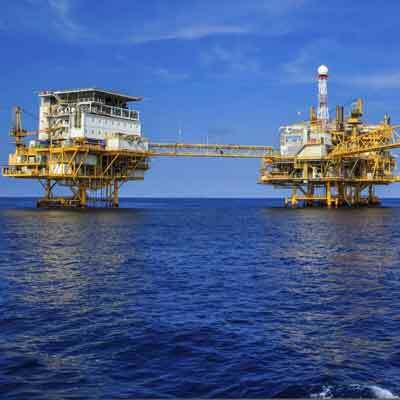 This course teaches offshore logistics, transportation of oil and gas from offshore to onshore, and corrosion management of offshore vessels and equipment. The course is intended for Personnel requiring a comprehensive understanding of offshore drilling operations and production. Learn the safety and environmental issues in the petroleum industry and everything thing you need to know to work safe in both the Onshore and the Offshore. Learn how to make the transition to 100% renewable energy from wind, solar, biogas and hydro for electricity for a sustainable future.